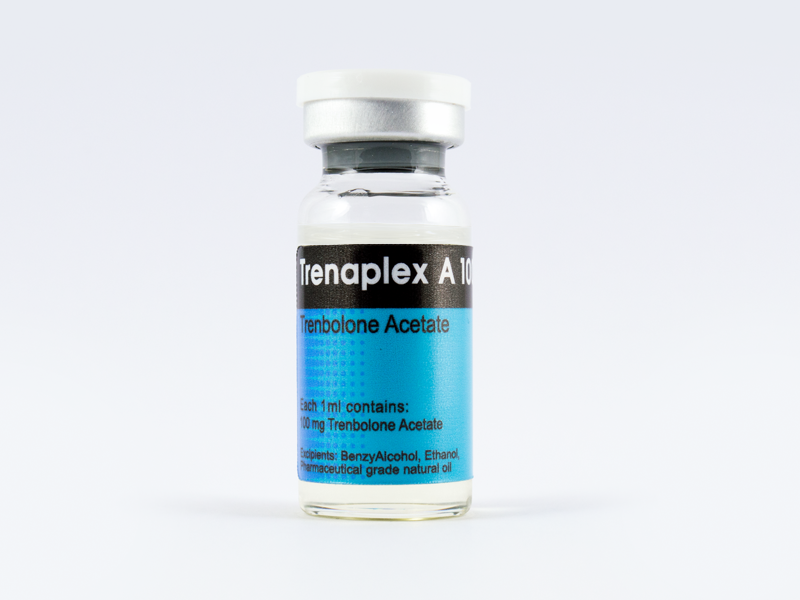 Trenbolone acetate (TRENAPLEX A 100) is the most powerful injectable anabolic steroid used to gain muscles among athletes, this steroid is highly valued for its ability to increase muscle hardness, definition, and raw strength, without unwanted water retention and fat mass gains. In fact Trenbolone acetate is derived from nandrolone. The resulting steroid is significantly more potent as both an anabolic and an androgen than its nandrolone base. An effective dosage for physique or performance-enhancin purposes generally falls in the range of 100-300 mg per week, taken for 6 to 8 weeks.